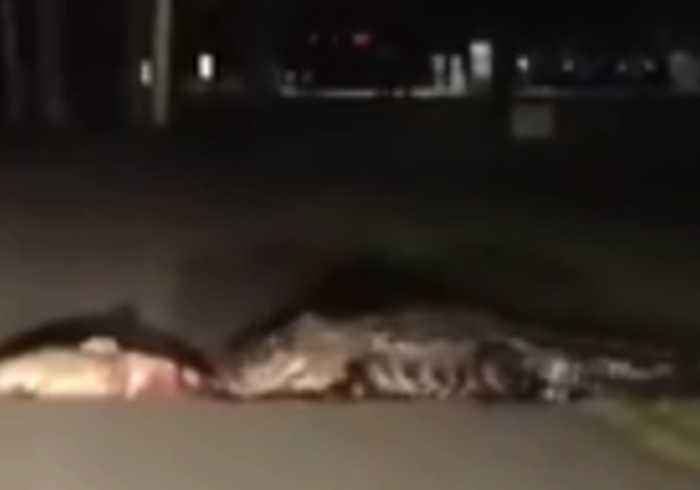 Daniel Martin captured video of an alligator dragging a dead fish across a road in Berkeley County, South Carolina, on June 10. The filmer and his family were on their annual trip to the Short Stay recreation area and campsite in Moncks Corner when they came acrosst he reptile at around 11:30 pm June 10. Martin told Storyful that the alligator, which he said was up to 9 feet in length, backed off once seeing his car, but eventually returned for his meal.